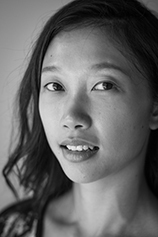 Ren Xin Lee (Malaysia) comes from a dance background. She works with dancers, actors, and non-performers in devising her works. She created site-specific works "Slope" (2015), "Asing-Asing" (2015), and "National Security" (2014). In 2014, Ren Xin Lee started "B.E.D. ", supported by the Krishen Jit Astro Fund. It is a performance research around topics of home, space-sharing, personal dreams and nationalistic dream. The project was also presented as a solo in BO:M 2015 in Seoul. Recently, Ren Xin Lee becomes interested in performance-making in public spaces. She hopes to experiment with regular and durational performance as well as sporadic happenings in public spaces as a process of generating material for the “concluding” piece. In 2016, she is an awardee of the Theaterformen Festival Grant, reporting for Textures from the festival and the research atelier "Our Common Futures". 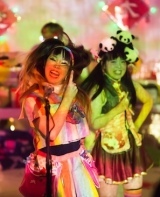 "Extreme Voices" by Miss Revolutionary Idol Berserker has been one of the most controversially discussed performances of the opening weekend of the festival, also among the Festival Grant Awardees. Responding to Richard Antrobus' review, Malayan artist Ren Xin Lee is strongly objecting against his reading of the performance in her text.